Hillary Chybinski: attitude. . .
. . .where does it come from? how do they develop it?? 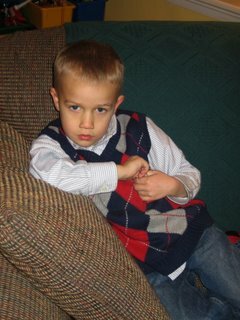 i have to say - the button-down shirt, sweater vest is a good look for him. . .if he would only smile. . .